Since their inception in 2011, the IFCAs have led the development of effective management for inshore Marine Protected Areas (MPAs) in England. To date IFCAs have introduced 23 new byelaws for the management of fishing activities in inshore MPAs, including the permanent closure of 3,980km2 of sea area to potentially damaging fishing activities. As the IFCAs support the UK Government’s commitments to deliver a well-managed network of MPAs to help achieve the “Blue Belt” around the coast of Great Britain, they have delivered exceptional value for money by managing stakeholder led decisions to support local communities. 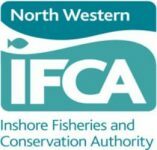 To recognise the success and achievements by IFCAs in delivering a well-managed network of inshore MPAs in England, the Association of IFCAs is launching a report entitled Management of Inshore Marine Protected Areas by the IFCAs – 2011 to 2018. This report, together with an interactive webpage, is available on the Association of IFCAs website (www.association-ifca.org.uk). This work has been carried out in close collaboration with Defra and the Defra group. We wish to continue implementing measures so that sea users can interact with the marine environment in a sustainable way whilst protecting important and diverse marine habitats and species. As the UK leaves the European Union there is opportunity to ensure measures continue to be implemented through fast, effective decision-making processes which protect the marine environment and allow sea users to work together. The IFCA model provides bespoke local solutions that show wide success across the inshore region. The project itself is an outstanding example of the hard work, dedication and effort each IFCA has put into actively managing their district in protecting the marine ecosystem, delivering a valued service, all in collaboration and partnership with a wide variety of stakeholders. We support the continuation of the project and commend IFCA’s management of the UK’s blue belt, all of which underpins our vision to pass onto the next generation a natural environment protected and enhanced for the future.